This may well be the least controversial set of Oscar nominations in decades. No obviously great works are missed, except in the Best Documentary category, where I would have expected to see WEST MEMPHIS THREE, MEA MAXIMA CULPA and CHASING ICE. Similarly, the large set of nominations for LES MIS seems, frankly, bizarre, but this is more than offset by the utterly genius inclusion of Pablo Larrain's Chilean political dramedy, NO. 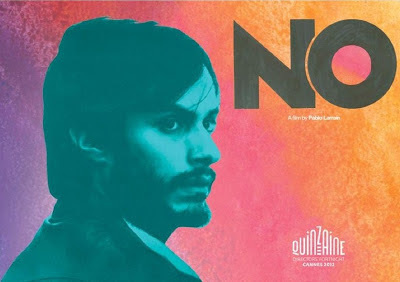 I'm sure it will be beaten by Haneke's AMOUR, but the nomination alone should raise awareness of this funny, politically astute and technically brilliant film starring Gael Garcia Bernal. 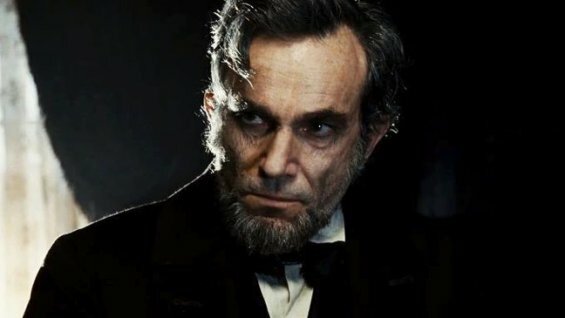 All this aside, the key message was that the early lead established by Ben Affleck's superb thriller, ARGO, has been usurped by Ang Lee's imaginative and visually stunning LIFE OF PI, and Stephen Spielberg's mesmerizing LINCOLN. I suspect LINCOLN may well sweep the major categories with LIFE OF PI, ARGO and maybe ZERO DARK THIRTY sharing the rest of the spoils. However, of these first three major films, I'd be happy no matter who takes the Oscars, as all three are stunning pieces of work. A true upset would be if SILVER LININGS PLAYBOOK won anything other than Best Screenplay or LES MIS got any awards at all. As usual, you can see the full list of noms below. I've put the likely winner in UPPERCASE and placed an asterisk by the nominee I think deserves to win. BEST PICTURE: Amour; Argo; Beats of the Southern Wild; Django Unchained; Les Misérables; Life of Pi; LINCOLN*; Silver Linings Playbook; Zero Dark Thirty. BEST ACTOR: Bradley Cooper, Silver Linings Playbook; DANIEL DAY-LEWIS*, Lincoln; Hugh Jackman, Les Mis; Joaquin Phoenix, The Master; Denzel Washington, Flight. BEST SUPPORTING ACTOR: Alan Arkin, Argo; Robert de Niro, Silver Linings Playbook; Philip Seymour Hoffman*, The Master; TOMMY LEE JONES, Lincoln; Christopher Waltz, Django Unchained. BEST ACTRESS: JESSICA CHASTAIN, Zero Dark Thirty; Jennifer Lawrence, Silver Linings Playbook; Emmanuelle Riva*, Amour; Quvenzhané Wallis, Beasts of the Southern Wild; Naomi Watts, The Impossible. BEST SUPPORTING ACTRESS: Amy Adams*, The Master; SALLY FIELD, Lincoln; Anne Hathaway, Les Mis; Helen Hunt, The Sessions; Jacki Weaver, Silver Linings Playbook. 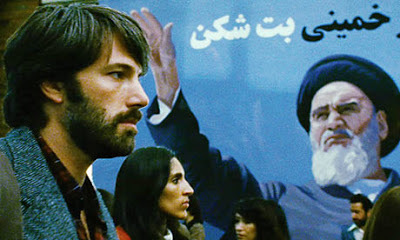 and should lead this film to the most Oscar wins. BEST ANIMATED FILM: Brave, Frankenweenie, PARANORMAN, Pirates! *, Wreck-it Ralph. BEST CINEMATOGRAPHY: Seamus McGarvey, Anna Karenina; Robert Richardson, Django Unchained; Claudio Miranda, Life of Pi; Janusz Kaminski, Lincoln; ROGER DEAKINS*, Skyfall. BEST COSTUMES: Jacqueline Durran, Anna Karenina; Paco Delgado, Les Mis; Joanna Johnston, Lincoln; EIKO ISHIOKA*, Mirror Mirror; Colleen Atwood, Snow White and the Huntsman. BEST DIRECTOR: Michael Haneke, Amour; Benh Zeitlin, Beasts of the Southern Wild; Ang Lee, Life of Pi; STEVEN SPIELBERG*, Lincoln; David O Russell, Silver Linings Playbook. BEST EDITING: William Goldenberg, Argo; Tim Squyres*, Life of Pi; Michael Kahn, Lincoln; Jay Cassidy and Crispin Struthers, Silver Linings Playbook; DYLAN TICHENOR AND WILLIAM GOLDENBERG, Zero Dark Thirty. BEST FOREIGN LANGUAGE FILM: AMOUR, No*; A Royal Affair, War Witch. BEST MAKEUP AND HAIR: Howard Berger, Peter Montagna and Martin Samuel, Hitchcock; Peter Swords King, Rick Findlater and Tami Lane*, The Hobbit; LISA WESTCOTT AND JULIA DARTNELL, Les Mis. BEST ORIGINAL SCORE: Dario Marianelli, Anna Karenina; ALEXANDRE DESPLAT, Argo; Mychael Danna*, Life of Pi; John Williams, Lincoln; Thomas Newman, Skyfall. BEST ORIGINAL SONG: Before my time, J Ralph, Chasing Ice; Everybody needs a best friend, Walter Murphy and Seth MacFarlane*, Ted; Pi’s lullaby, Mychael Danna and Bombay Jayashri, Life of Pi; SKYFALL, Adele Adkins and Paul Epworth, Skyfall; Suddenly, Claude-Michel Schönberg, Herbert Kretzmer and Alain Boublil, Les Mis. BEST PRODUCTION DESIGN: Sarah Greenwood and Katie Spencer, Anna Karenina; Dan Hennah, Ra Vincent and Simon Bright, The Hobbit; EVE STEWART AND ANNA LYNCH-ROBINSON, Les Mis; David Gropman and Anna Pinnock, Life of Pi; Rick Carter and Jim Erickson*, Lincoln. BEST SOUND EDITING: Erik Aadahl and Ethan van der Ryn, Argo; Wylie Stateman, Django Unchained; Eugene Gearty and Philip Stockton, Life of Pi( Per Hallberg and Karen Baker Landers, Skyfall; Paul N J Ottoson, Zero Dark Thirty. BEST SOUND MIXING: John Reitz, Gregg Rudloff and Jose Antonio Garcia, Argo; Andy Nelson, Mark Paterson and Simon Hayes, Les Mis; Ron Bartlett, D.M. Hemphill and Drew Kunin, Life of Pi; Andy Nelson, Gary Rydstrom and Ronald Judkins, Lincoln; Scott Millan, Greg P. Russell and Stuart Wilson, Skyfall. BEST VISUAL EFFECTS: Joe Letteri, Eric Saindon, David Clayton and R. Christopher White, The Hobbit; Bill Westenhofer, Guillaume Rocheron, Erik-Jan De Boer and Donald R. Elliott, Life of Pi; Janek Sirrs, Jeff White, Guy Williams and Dan Sudick; The Avengers; Richard Stammers, Trevor Wood, Charley Henley and Martin Hill, Prometheus; Cedric Nicolas-Troyan, Philip Brennan, Neil Corbould and Michael Dawson, Snow White and the Huntsman. BEST ADAPTED SCREENPLAY: Chris Terrio, Argo; Lucy Alibar & Benh Zeitlin, Beasts of the Southern Wild; David Magee, Life of Pi; Tony Kushner*, Lincoln; DAVID O RUSSELL, Silver Linings Playbook. BEST ORIGINAL SCREENPLAY: Michael Haneke, Amour; Quentin Tarantino*, Django Unchained; John Gatins, Flight; Wes Anderson & Roman Coppola, Moonrise Kingdom; MARK BOAL, Zero Dark Thirty.